Today's guest was only 11 months old when she was diagnosed with Type 1 Diabetes. As she grew from infancy to childhood, she displayed a determination to do whatever she set her heart and mind to do, and typically no one was going to tell her otherwise. Her father often told her she would be a “CEO” or “entrepreneur” some day, as long as she, as he put it, used her powers for good. And that she did. In January 2016, she began making her first bath bombs, within a few weeks her products were selling in a local gift shop, and to date they are sold online and in 8 retail outlets in two states. 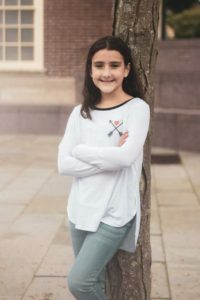 In almost two years she has donated over $6000 to various charities, and has committed to donate 20% of all net retail web sales to Juvenile Diabetes research, via JDRF and Beyond Type-1. 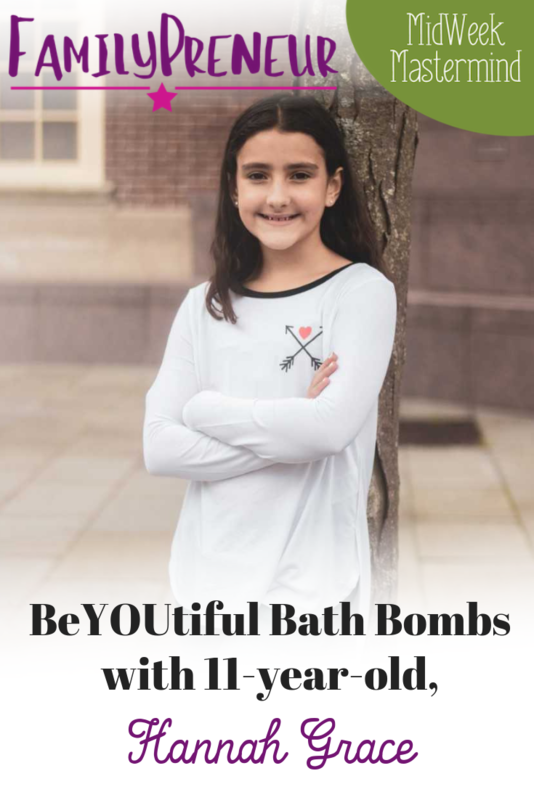 Today we're lucky to be joined by the 11 year-old CEO of BeYOUtiful, Hannah Grace! On New Years Eve of 2016, Hannah and her dad were driving to Lush to buy bath bombs and his dad said that he thought she could probably just make the bath bombs… so she tried. She found a good recipe, a local store started selling them, and it blew up from there. It was a very exciting process for Hannah. She decided to try making the bath bombs, found recipes, and then bought all the ingredients. Her dad gave her a loan to buy the ingredients, she had to repay him once she started making money. They made their first bath bombs and a couple days later went on YouTube to share them! She went to a local store, called Hippo, first to see if they would sell them. They liked them and agreed to sell them, and they put them on social media – then local newspapers started calling and they made a website. Hannah does not pay to have her products in the store, she explains that the profits are split between the store and her. Hannah's dad built her website, but she got to help with the design. 20% of all the money made from bath bombs goes to Juvenile Diabetes Research Foundation and Nick Jonas' organization, Beyond Type-1. Hannah has Juvenile Diabetes, so that cause is very important to her. In addition to running her business, Hannah attends school and participates in cheerleading and gymnastics. She works on her business in the evenings after her other commitments. Her family helps when orders get really busy – they help with packaging, molding, and labeling. Hannah's dad, Kennith, does not have any business experience. They are learning the process together. He has been a teacher most of his life. He tries to really let her call the shots. He supports Hannah in the background, but does not speak up on her behalf. Kennith recommends identifying your priorities when trying to balance life/work and your entrepreneurial kid. He always offers Hannah the opportunity to take a break or even stop the business, it's okay. He does not want to pressure her or push her. Hannah was only 11 months old when her parents rushed her to the ER very late one night, unsure of what was wrong with their daughter. It was then and there that she was diagnosed with Type 1 Diabetes and their fear and confusion instantly turned to shock and disbelief. With their lives turned upside down, they struggled with the new reality of learning how to keep their toddler daughter alive. What they didn’t realize at the time was that Hannah had the tenacity and strength that would cause her to strive, not just survive. As she grew from infancy to childhood, Hannah displayed a determination to do whatever she set her heart and mind to do, and typically no one was going to tell her otherwise. Hannah’s father often told her she would be a “CEO” or “entrepreneur” some day, as long as she, as he put it, used her powers for good. On New Year’s Eve day 2016, as the family was traveling to Hannah’s favorite health and beauty store, her father turned to her and gave her a challenge. He said that he bet she could make the same products she wanted to buy in the store and even sell them herself. Challenge accepted! That same day Hannah was researching the necessary ingredients and later that week she was making her first bath bombs (her favorite health and beauty product). Within a few weeks her products were selling in a local gift shop, and to date they are sold online and in 8 retail outlets in two states. Hannah calls her brand, BeYOUtiful because she believes that being beautiful means being yourself, no matter what challenges you endure. At just 11 years old Hannah is proving that she can do all that she sets her mind to do, and nothing, not even diabetes, can stop her.